Many people are concerned with getting rid of mites because of the hype surrounding the allergies related to mites. Most of this hype is centered on the house dust mite, but according to a study found in The Annals of Allergy, ear mites are just as much of a cause for concern in the treatment of allergies as dust mites are. 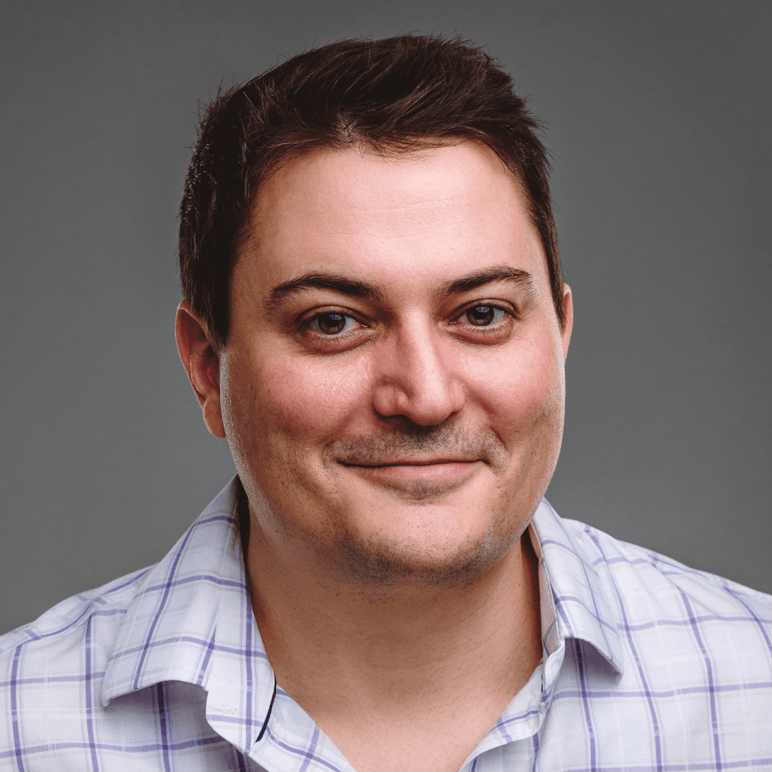 The real source of people’s allergic reactions mites isn’t the presence of the mites, or even their bite, but the feces mites leave behind. Yes, the reason you’re sniffling so much may be caused by the inhalation of too much mite poop. That’s a good reason to get rid of mites, isn’t it? Dust mites and ear mites aren’t even the half of it. 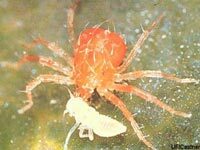 Two other mites that seem to give people problems are the spider mite and the scabies mite; one feeds on plants and the other feeds on you; both are relatively easy mites to get rid of. Since this is a broad overview of treatments for mites, we will address the four most reported mite problems (dust mites, ear mites, scabies, and spider mites) in brief below while providing links to articles that address treatment of those particular mites more specifically. Eliminating dust mites requires a combination of good housekeeping and the careful selection of fabrics you furnish your house with. Dusting furniture, shampooing carpets, and dry cleaning fabrics are you least toxic dust mite treatment options. Pay special attention to your carpets because that’s where organic dust matter (dust mite food) builds up most. You may also keep dust mite populations down by choosing non-organic fabrics, or high thread count cotton sheets to furnish your home and bedroom. Keeping your mattress covered with a latex rubber mattress cover should help get rid of dust mites as well. Ridding your pet of ear mites is often as simple as applying mineral oil to your cat or dog’s ears. Apply mineral oil with an eye dropper or an ear syringe (shown on the right) and gently massage the inside of your pet’s ears with your thumbs, pressing your fingers against the “furry side” of their ears to keep your leverage. Once you’re satisfied that you’ve coated their ears, allow your pet to shake the oil out by themselves. You may want to do this outside to prevent mineral oil (and ear wax) from being splattered on your furniture or carpet, as it is a pain to clean. Best done with the introduction of other predatory mites. Not all mites are bad for your garden, even though a lot of people seem to think so. There are plenty of predatory mites available via mail order that you can release into your garden or greenhouse that will safely and effectively (without the use of chemicals) get rid of spider mites. 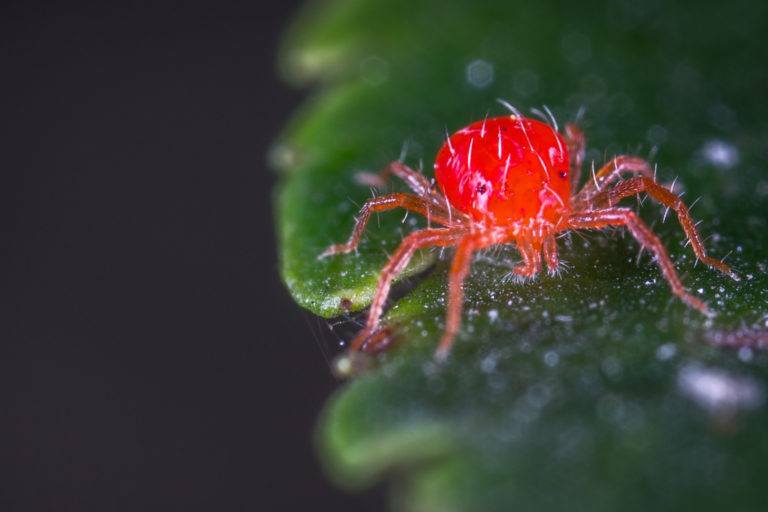 Mite species that prey on two-spotted or “spider mites” are: Phytoseiulus persimilis, Phytoseiulus longipes, and Ambylesius californicus—just to name a few. It should be kept in mind that getting rid of ear mites and dust mites completely is impossible. Ear mites are thought to be able to survive without a host for several months, making even the best kept animal shelter particularly susceptible to ear mite infestation. Dust mites, because of the constant presence of organic matter and dust in homes, will never be gotten rid of completely either. The best you can do is to limit the population of dust mites by either reducing the amount of organic fabrics in your home or replacing organic fabrics with synthetic fabrics, or even substituting fabrics for other materials entirely (ie. wood floors instead of carpet). Permethrin is perhaps the most widely used pesticide in the treatment of fleas, ticks, itch mites, head lice and other human pests. While Permethrins show no immediate signs of toxicity, their presence in the environment is extremely toxic to fish and to cats. Never use a Permethrin pesticide on or near your cats, especially to get rid of ear mites. The EPA has classified Permethrins as potentially carcinogenic because some studies have shown increased lung cancer rates in lab mice exposed to Permethrins. Considering the potential harm Permethrins may cause to mammals and fish, you may want to consider the following mite control treatments before resorting to the use of this pesticide. Insecticidal Soaps are usually most effective on mites that are considered garden pests like the spider mite, two-spotted mites, and broad mites. Insecticidal soaps are little more than a mild soap like Dove or Dr. Bonner’s castile soap (which you can get at Amazon) diluted with a fair amount of water (usually 1 teaspoon for every quart of water), poured into a spray bottle. Applying the soap to plants that are succumbing to mite infestations (and other bugs like aphids) will disrupt the cellular functions of the mite and kill it. Hot water kills almost anything, including mites. It is recommended that if you’ve recently treated your pets for ear mites, their bedding and any other linens they’ve come into contact with be washed in hot water (make sure you check your laundry tag, though). Dust mites warrant a similar regiment. 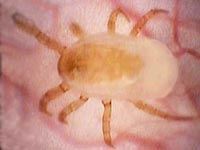 To help control dust mite populations you may want to think about cleaning your carpet with a steam cleaner and washing you bedding in hot water on a regular basis. Sulfur kills mites real good, and is particularly useful when treating scabies and/or itch mites. Acnotex, Sulforcin, and Liquimat are just a few brands of topical sulfur available over-the-counter. Sulfur shouldn’t be used on sensitive skin, and for rare cases where sulfur can’t be used, a Permethrin cream or lotion may have to substitute as the primary mite control agent. Tea Tree Oil is used to treat itch mites and/or scabies as well. Tea tree oil is a natural astringent that is gaining popularity among mainstream cosmetic companies. Tea tree oil is often combined with lavender oil to treat a number of skin conditions, but may be mixed with aloe to sooth the skin and treat a scabies infestation. We recommend ArtNaturals Tea Tree Oil from Amazon.